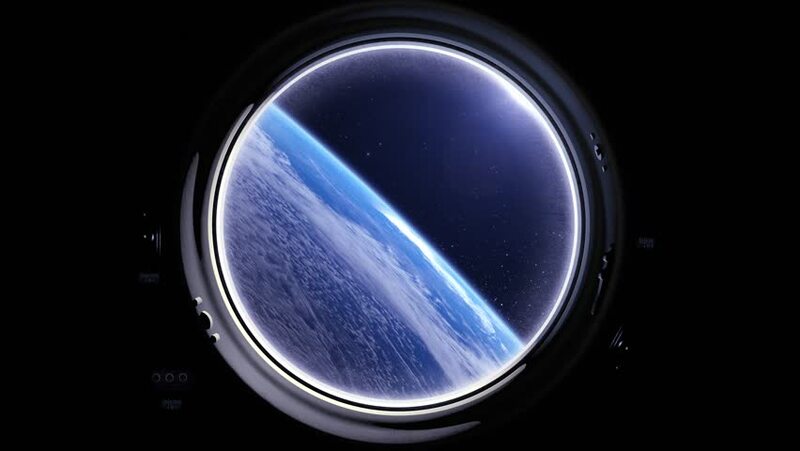 A view of the Earth from through the porthole of a spaceship. International space station is orbiting the Earth. Space, earth, orbit, ISS.